Shall we have some more treats? Yes, I think we should. I only have a wedding in two weeks that I need to lose at least 4 stone for but that should be fine. Worse comes to the worst I can always chop my leg off, a leg surely must weigh about 4 stone, although that doesn’t help my fat face situation. Maybe I shouldn’t have made biscuits after all? Oh well, it’s too late for that, I’ve already eaten five. 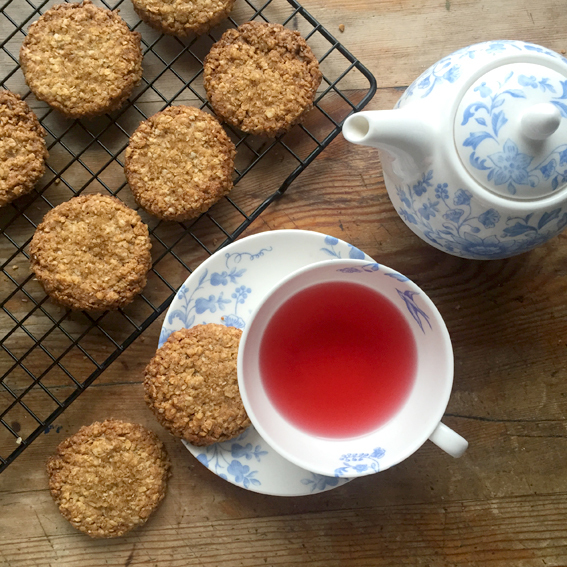 I actually learnt to make these oaty biscuits at school but haven’t made them for about 10 years, I stumbled across the recipe the other day. I managed to make them out of ingredients I found in the back of my cupboard, nice and convenient. This has literally never happened to me before and probably never will again, I never have anything I need to make anything in this life. Anyway, I love these biscuits because they’re short and buttery but not too sweet. If you have a sweet tooth though, feel free to dip them in melted chocolate for a more indulgent biscuit… Kind of wish I’d done that now. Enjoy! 1. Preheat your oven to 180c (fan 160c). Cream the butter and the sugar together, once combined beat in the 2 egg yolks. 2. Add the dry ingredients, a good crack of salt (the salt is important) and mix well. 3. 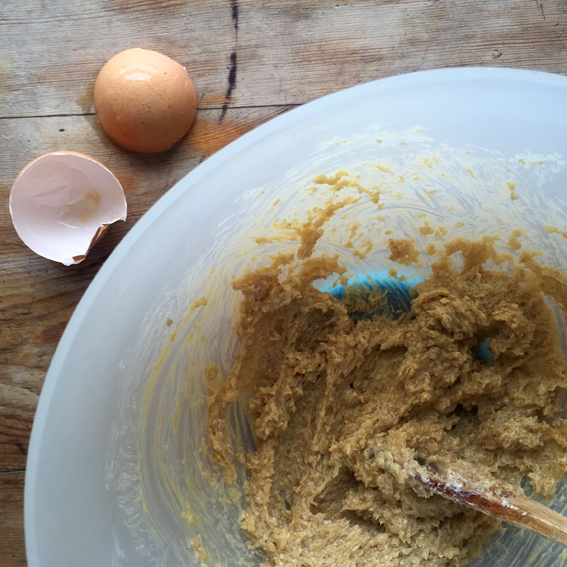 Turn the mixture out onto a large piece of baking paper. Dust a rolling pin with flour and then roll out the mixture to around half a centimetre. Cut your biscuits out (I just use a small mug as I don’t own a cookie cutter) and pop them on to a greased baking tray. Sprinkle each biscuit with a pinch of demerara sugar and pop in the oven for 10-12 minutes. 4. Allow to cool for five minutes and then transfer the biscuits to a cooling rack. Enjoy with a nice cup of tea.